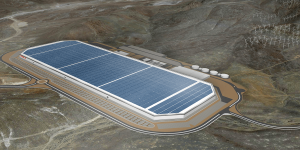 Nikkei suggested yesterday, that Panasonic and Tesla’s plans to increase production capacity for battery cells at Gigafactory 1 have been put on ice due to financial problems at Tesla and uncertainties about future demand. While us and others could but wonder, Panasonic now took a stand that is ambivalent. The automotive supplier ZF is stepping up its involvement in China with the construction of further plants and the expansion of development capacities. This includes the start of production of the 8-speed automatic transmission 8HP at the ZF factory in Shanghai, including a variant for plug-in hybrid drives. Volkswagen has signed a letter of intent with Ganfeng Lithium for the long-term supply of lithium for battery cells. It is planned that Ganfeng will supply the Wolfsburg-based company and its suppliers with lithium for the next ten years. SK Innovation has announced the construction of a new battery separator plant in Poland. The South Korean company is investing 335 million euros to build four production lines for lithium-ion separators (LiBS) and three more for ceramic coated separators (CCS) in the Polish province of Silesia. 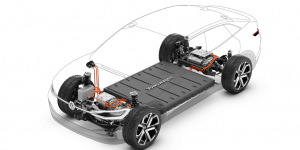 Audi is reportedly having problems with the battery supply from the supplier LG Chem for their electric e-tron. 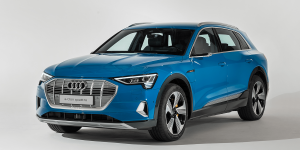 Audi is therefore currently only able to produce about half of the originally announced 300 e-tron units per day at its plant in Brussels. 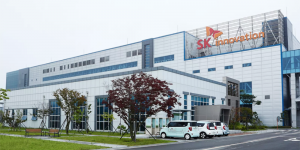 Shortly after the start of construction of SK Innovation’s second battery cell factory in Hungary, the official ground-breaking ceremony for the South Korean manufacturer’s first US plant in the state of Georgia took place. On 8 March, SK Innovation officially started the construction of its second battery cell factory in Hungary, announced at the end of February. Meanwhile, the ground-breaking ceremony for the U.S. cell factory in the state of Georgia is apparently taking place today. 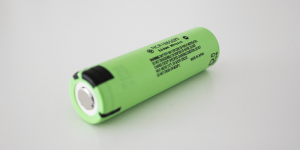 Six consortia have so far submitted applications for funding to set up battery cell production in Germany. These include prominent names such as BASF, VW, PSA, BMW and Northvolt. Meanwhile e.Go-Mobile CEO Günther Schuh is leaving the consortium that wants to bring a cell factory to Germany’s North Rhine-Westphalia region. 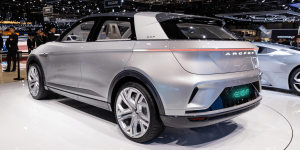 At the Geneva Motor Show, Arcfox, a BAIC BJEV brand, unveiled three new vehicles. The new models retain the features of the Arcfox GT and are certified by the European trade association. 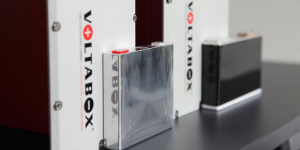 Battery maker Voltabox generated sales of 66.9 million euros in 2018, more than double from what the made in 2017. The company explains its success with orders for batteries for specialist vehicles such as forklifts and also plans to further expand into the business of light electric vehicles this year. 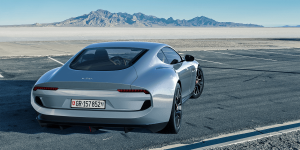 Piëch Automotive named some new details on the Mark Zero electric sports car, which will be presented at the Geneva Motor Show and will be followed by a number of other vehicles. 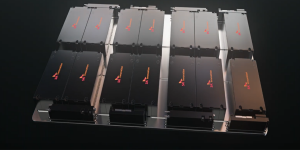 Particularly interesting is the announced new cell type, which should hardly warm up during charging and discharging. 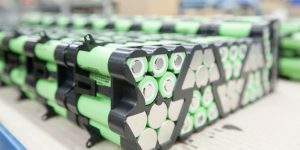 The development and manufacturing service provider Valmet Automotive is planning to set up large-scale production of battery packs for the automotive industry in Salo, Finland. The facility is said to open this year with more than 300 employees. ZF has opened a new test center for driveline technology in Friedrichshafen to test electric, hybrid, and internal combustion engine drives. 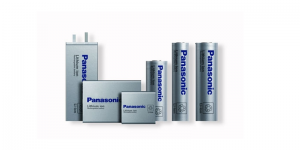 Battery simulators supply electric and hybrid drives with the required energy. The South Korean manufacturer SK Innovation announces the construction of another factory for battery cells in Hungary. The ground-breaking ceremony will take place in March this year in Komárom, where SK Innovation started building its first Hungarian battery factory a year ago. 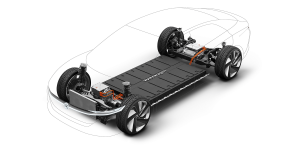 Volkswagen’s presumed plans to enter the mass production of battery cells for electric cars with the support of its Korean partner SK Innovation are apparently being torpedoed by the other cell suppliers who have been active for Volkswagen to date. 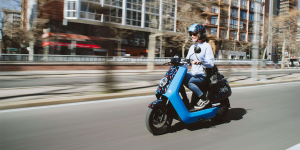 Battery maker Forsee Power of France will supply the Chinese brand Niu with batteries for its electric scooter series. In addition, Forsee plans to produce more than 100,000 batteries for Niu at its Zhongshan plant in Guangdong Province between now and 2022. 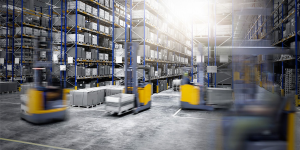 German forklift manufacturer and intralogistics specialist Jungheinrich and battery manufacturer Triathlon Holding have founded a joint venture. JT Energy Systems is to produce and recycle lithium-ion battery systems for both companies. 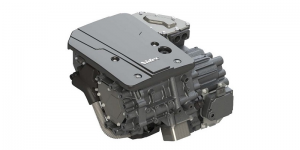 Japanese electric motor manufacturer Nidec plans to double its production capacity in China. In addition to a factory under construction in Zhejiang Province, Nidec will invest 20 to 30 billion yen (160 to 240 million euros) in the construction of a second production facility for traction motors. 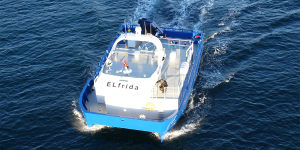 ABB supplies drive and energy storage technology for Iceland’s first electrified ferry. 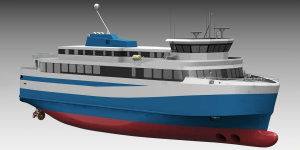 The 70-meter vessel will be equipped with a 3,000 kWh battery pack and run in fully electric mode most of the time. 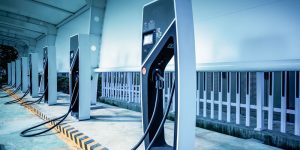 In various trade fair discussions last year, electrive.com was told that the manufacturers of charging stations were struggling with the purchase of power electronics. Is there really such a shortage? And what are the causes? Michael Nallinger has been listening in around the industry. 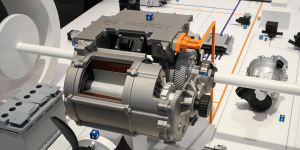 The German battery system manufacturer Akasol has announced the extension of their long-term framework agreement to supply an unnamed Swedish commercial vehicle manufacturer with high-performance battery systems for electric buses and trucks. 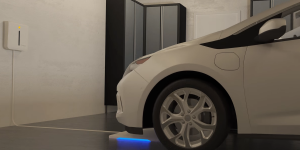 In recent years, Mahle has intensified research in the field of wireless charging of electric vehicles and is now entering the development phase with the acquisition of licenses for WiTricity’s magnetic resonance technology. 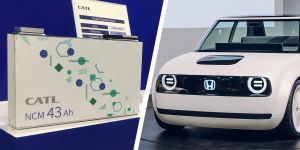 With Honda, another car manufacturer opts for battery cells from Contemporary Amperex Technology (CATL). 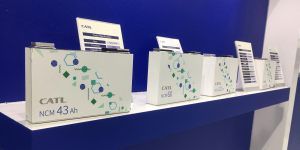 An agreement has now been signed for CATL to supply battery cells with a total capacity of around 56 GWh to Honda by 2027. Panasonic has lowered its forecast for the 2018/19 fiscal year, which ends in March, following a decline in profits over the winter. However, the Energy division, which also includes the battery business with Tesla, recorded its first operating profit in three quarters at 131 million euros. 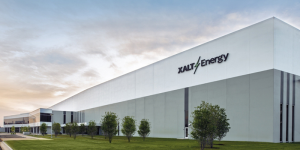 Freudenberg Sealing Technologies has increased its stake in the US battery specialist XALT Energy from 31.8% to 50.1% and is now the majority shareholder of the Michigan-based company, which develops and produces lithium-ion technologies for the commercial vehicle industry. 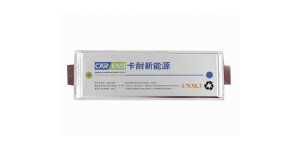 Evergrande Health Industry Group is to pay 1.06 billion yuan (156 million US dollars) for a majority stake in Cenat New Energy, a Chinese automobile battery company. Evergrande is rapidly piecing together a string of pearls in the electromobility production chain. 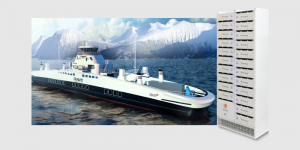 Canadian company Corvus Energy has again been contracted by Norwegian Electric Systems (NES) to supply lithium-ion battery-based energy storage systems (ESS) for five all-electric ferries being built by Havyard for Norwegian ferry operator Fjord1. The Indian government has lowered import duty on parts of electric vehicles from 15-30 per cent to 10-15 per cent, effective January 30. At the same time, the Central Board of Indirect Taxes and Customs (CBIC) is now charging customs duty for battery packs for EVs, which were previously exempt. 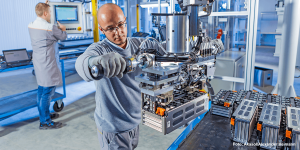 Siemens has opened an “advanced robotized and digitized” battery module factory in Trondheim, where 55 battery modules will be assembled per shift for marine and offshore markets. The factory comprises a line with eight robot stations and a capacity of up to 300 MWh per year.